The Underhill Burying Ground (UBG.) is located on land granted to Capt. John Underhill by the Indians in 1667, in the area then called Matinecock and now within the Village of Lattingtown, in the Town of Oyster Bay, NY, on Long Island. The cemetery has been in continuous use since the burial in 1672 of Capt. 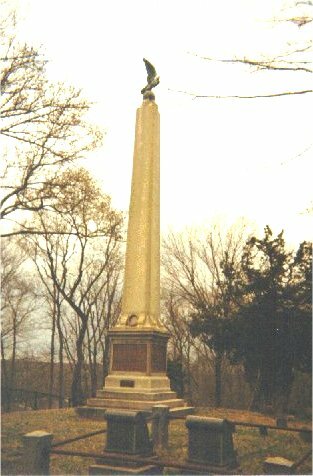 John Underhill, whose grave is marked by the imposing monument (above) erected by the Underhill Society and dedicated by President Theodore Roosevelt. Eleven generations of his descendants now rest there. First formally organized in 1843, the Burying Ground was incorporated in 1909 and is administered by its own board of officers and trustees. It is beautifully maintained, using income from a trust established by Myron C. Taylor. Burial rights may be purchased by descendants of Capt. John Underhill, by application to the UBG. Secretary. 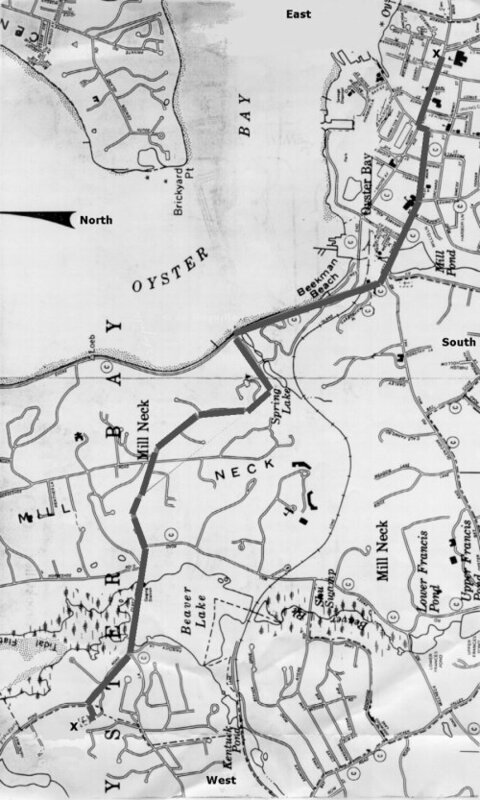 The map at right shows the route from the Underhill Society museum, in downtown Oyster Bay, to the Burying Ground.